Trump says he will help ZTE "get back to business"
US President pledges to work with Chinese counterparts in order to save jobs. US President Donald Trump has revealed a stunning turnaround on the nation's decision to block Chinese firm ZTE. Following the news last week that the company would be closing down following a blocking order fro the US government, Trump has now promised a job-saving concession. “Too many jobs in China lost. Commerce Department has been instructed to get it done!” Trump wrote on Twitter. He also said that he was working with Chinese President Xi Jinping on a solution for ZTE. Reuters’ resources are saying that the Chinese demanded the ZTE issue to be resolved before any broader trade negotiations could take place. It was also said that China generally agrees with importing more US agriculture products in return. ZTE, one of China’s largest telecom manufacturers, announced last week that it is shutting down most of its operations, due to the fact that it could no longer access essential parts built by US suppliers. 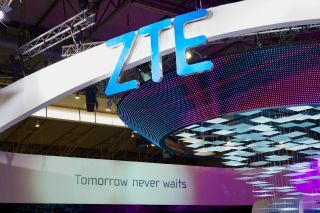 US suppliers were banned from doing business with ZTE after the latter broke last year’s agreement and illegally shipped US goods to Iran and North Korea. Trump’s reversal surprised and frustrated many U.S. officials, Reuters adds, saying they had viewed the penalty on ZTE as final and not open to appeal.